Who says you need tortillas for tacos? 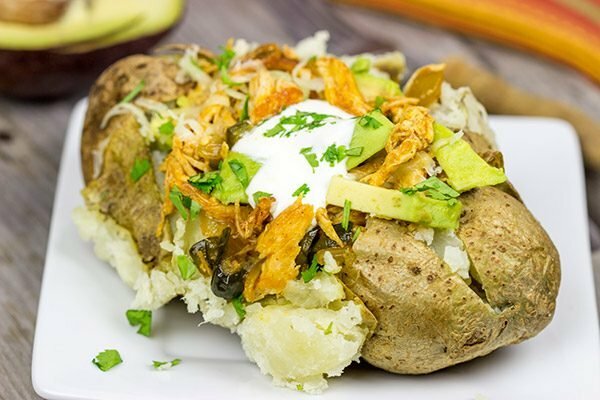 These Enchilada Baked Potatoes make for a delicious dinner! How do you guys do baked potatoes? Normally, we just go for the traditional ‘loaded’ style tater. Butter, salt, pepper and perhaps some sour cream. If it’s summer, I’ll toss some chives on there since we always have chives in the garden. Absolutely nothing wrong with those toppings. But these Enchilada Baked Potatoes came about by mistake. And sometimes mistakes are a good thing! A couple of weeks ago, we had some leftover taco filling that needed to be eaten. (I know, I know…who actually has leftover taco filling!?) We also had a couple of Russet potatoes. Well, it didn’t take long before the taco filling met the baked potatoes and fell madly in love. Ok, maybe it was us that fell madly in love with this one. I mean, c’mon people, tacos and potatoes can’t actually get married. That’s just silly talk. Those Taco Taters were so tasty that we’ve started making them for dinner…on purpose. 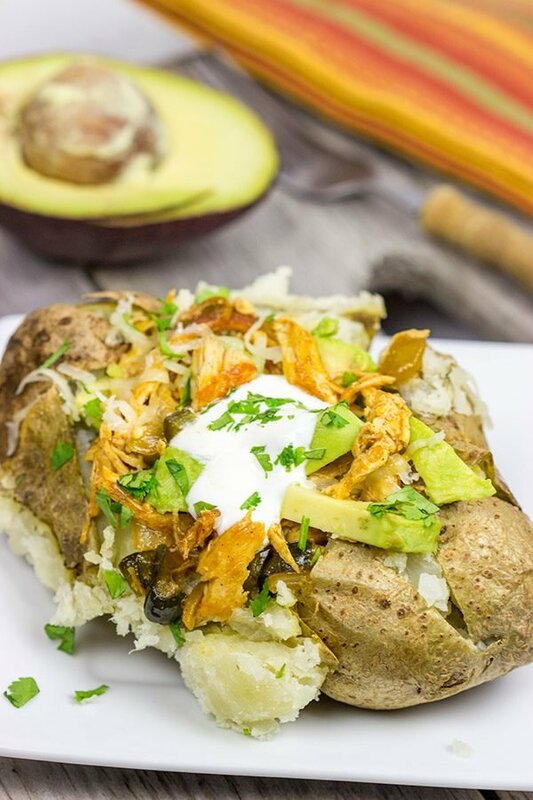 These Enchilada Baked Potatoes were the latest creation, and they made for one heck of a tasty meal. 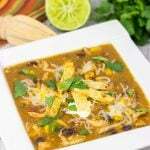 The shredded chicken is simmered in red enchilada sauce along with some diced onions and poblanos. It would make an excellent taco filling by itself, but I do highly suggest adding it to the top of a fluffy, baked potato. Trust me on this one! As we get back into the routine following the long weekend, I suggest making #TacoTaters for dinner one night. Enjoy! While the potatoes are baking, make the Enchilada Topping by drizzling olive oil in a large skillet. Place over medium heat and add chicken breasts. Cook for 15-20 minutes, flipping once, or until chicken is fully cooked. Set chicken aside on a cutting board and let cool slightly. Place chicken back into skillet along with the enchilada sauce, diced onion, diced peppers, green chilies and garlic. Let simmer over medium heat, stirring occasionally, for 10-12 minutes. Once potatoes are done, let them cool slightly and then cut a “X’ into the top of each potato. Gently press ends of the potato together to open the potato up. Use a fork to fluff up part of the baked potato. 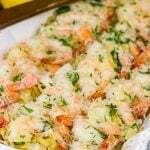 Top each potato with the chicken mixture, diced avocado, cheese, sour cream and cilantro before serving. High five to you for putting your phone down. I completely understand what you mean….sometimes you just need a break from social media. I love it too, but sometimes it’s just all consuming. So many things to check, to do, and it’s like take your head out of the phone and look around, right? We all need to do that every once in a while. I love baked potatoes in all forms, from simple butter or greek yogurt and onion to cheese and salsa. But, this enchilada version is fantastic! I bet this would be a wonderful idea if you had a casual get together and layed all of the toppings out and people could ‘build their own.’ Love it! I hope you enjoyed a nice long weekend! Ours was great but the weather was a bit chilly! I guess fall is here already. These baked potatoes look fantastic! 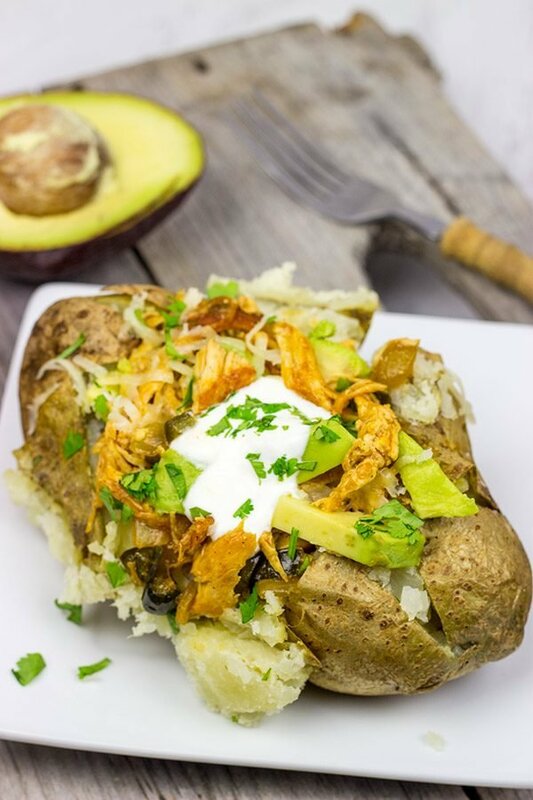 Such a great idea to add these flavors piled onto a potato! I think these potatoes would be perfect for dinner. I have made taco potatoes, but never the enchilada potatoes. I think that this would be a hit in my house. It’s always a good thing to take a little time off. David, I do love interacting on social media but I gotta agree, sometimes, a break is definitely needed! Glad you got to unplug, my friend, and enjoy this long weekend! And speaking of enjoying – gosh, those Tater Tacos sure do sound super tasty as do these enchilada ones! “Who says you need tortillas for tacos?” happens to be my mantra – but Lil Shashi is a taco connoisseur – actually scratch that, she is a carb connoisseur especially now that she is easing back into eating ALL THE GLUTEN! Haha…I guess lil Shashi is just making up for lost carb time now, huh? Hey, I totally support that! I’m pretty sure I could single-handedly take care of an entire loaf of freshly baked bread. 🙂 But these taco taters were totally delicious…and a great way to ease back into the Fall comfort food, too! Thanks, Shashi! Hi David! 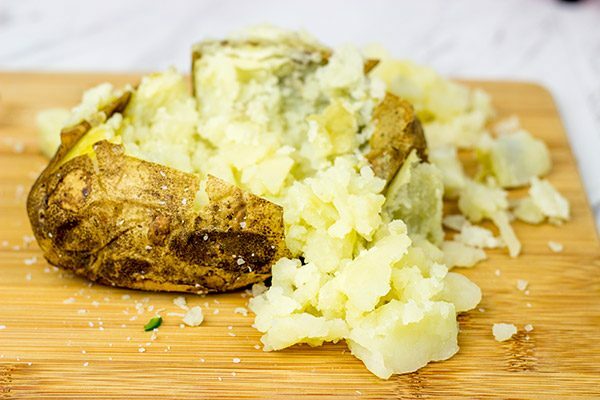 A baked potato is like a blank canvas…let your imagination run free! The possibilities are endless! And I know you have a very sharp food imagination! 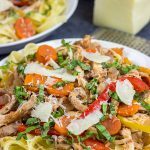 This is also a wonderful way to stretch smaller leftovers into a complete meal! Genius my friend! And I happen to love baked potatoes and enchiladas so this makes me happy! I hear you on the work/social media thing. I actually worked Saturday for 6 hours and said, “What are you doing?” and Sunday and Monday were OFF. 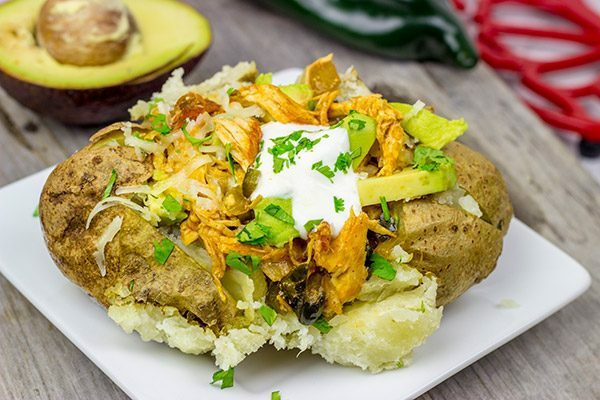 What a stellar idea, or mistake, whatever these Enchilada Baked Potatoes are genius Dave! Enchiladas are the best and I love how you inserted alllll those flavors into warm baked potatoes 🙂 We actually always have leftover taco filling at my house, believe it or not! Hey, leftover taco filling isn’t a bad thing, Medha…but it just so often seems to disappear. (I wonder why that is??) Try taking that leftover filling and putting it on a baked tater one night…it’s a pretty awesome meal! 🙂 Thanks!! I love recipes which come out of like nowhere! 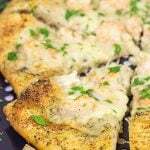 When such recipes turn out good, they make you so happy! the potatoes sound delicious! Haha…yeah! I’ve totally had the random recipes which just flop, but that’s part of the fun of cooking, right? In fact, that’s one of the things I love so much about the kitchen…there’s always room to learn and create something new! 🙂 Thanks, Manali! 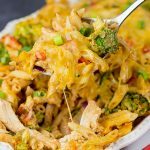 Dude, I am LOVING this- All these stuffed goodies are perfection but this one takes the cake- Bonus points because it’s not a silly spaghetti squash! Long weekends are so much needed once in a while. That’s why I’m having a little long (just a week or so) time off from blogging and all the social media (Although I didn’t hide my phone. Perhaps, that’s a good idea). Stuffed baked potato is another thing we all need once in a while, and I’m glad you’ve got such a delicious version here. Good idea to take some time off for a bit here, Ben. That’s what the summer is for! We all know it’s about to get crazy busy for the holidays, so recharge those batteries up right now. 🙂 Perhaps a loaded baked potato will help? What a delicious mistake 😉 If all mistakes would lead to something so beautiful … Slowly getting into the mood of autumn especially since we had a beautiful start to September with lots of sunshine and leafs slowly changing colours. It is so nice to take a break from it all – I think we all need it every now and then. I totally agree, Miriam…that chance to disconnect is really quite valuable. We should do it more often! And two thumbs up for the arrival of Fall, too. (Well, to be fair, it’s still silly hot here…but I hear that the Fall temps are coming soon.) Cheers! Looks so good! 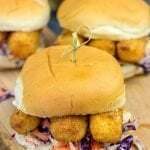 You’ve combined two of my favourite comfort foods into one delicious dish! 🙂 Can’t wait to give this recipe a try, I know my family would love it. I’ve loaded a baked potato with cheddar and salsa, but I’ve never gone as far as making a taco potato or an enchilada potato. But I’m totally going that far next time! I can see that life has been cold and dark without all this fun! Now, THAT is how you do a baked potato. Or, at least, how everyone should be a baked potato. It has to be loaded with toppings and this definitely is. You have combined my love of Mexican food and anything potato related, and for that I thank you! Heck yeah! I knew you’d be on board with the taco idea, Dannii! These taters are a great way to use leftovers…although taco filling leftovers is a bit of a misnomer. I mean who actually has leftovers on taco night? 🙂 Thanks! What a great idea! I’m interesting in the combination of avocado and potato. What? A taco without avocado? Lies!! Hah…just kidding. 🙂 The avocado was a good addition on top of these taco taters. In fact, I bet a guacamole topped potato would be pretty awesome. Dinner tonight? Thanks, Jeff! what a creative idea. one question, do you open any restaurant? i bet i’ll eat there everyday xD your recipes are always amazing. Wow, David, I love how you decorate this recipe. 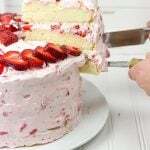 Combination of colors of this recipe looks great and harmonized. By looking, I could feel autumn from this recipe. Could not describe clearly how I feel by looking this, but absolutely it is a great feeling. Thanks for sharing and have a nice weekend, David.